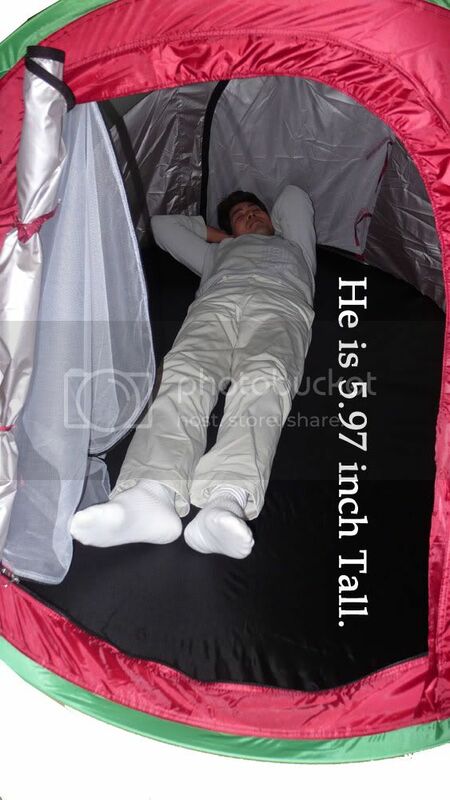 Saw this picture on a tent ad on Craigslist. Umm…yeah. UPDATE: Looks like we blew up his Photobucket bandwidth. Sorry Mr.5.97 inches tall in a tent guy. What is this...a tent for ants? ?